Manufacturers of optics have started to dial in on exactly what bow-hunters need in archery rangefinders. Today, an array of brilliantly designed and incredibly functioning rangefinders for bow-hunters exists. Below we look at the best archery rangefinder reviews. You can use the visual aids to measure long distances. Highly advanced rangefinder options are adequately equipped to detect vast distant objects. Rangefinders are fully equipped with highly powerful lenses that can capture entire panorama accurately. Often, sharpshooters utilize the gadgets to figure out the ideal ballistics prior to firing. It definitely enshrines the accuracy zenith for each shot. The same is definitely true for bow hunters and archers. Essentially, rangefinders are divine units for every individual that desires fuller compensation for the visual field. The Nikon Arrow ID 3000 is a brand new rangefinder, which builds on the accomplishment of the initial Nikon models. When it comes to appearance and size, this rangefinder reminds us of the famous Nikon Aculon. Nonetheless, it boasts more advanced features that are reminiscent of the Riflehunter and Prostaff models. Its housing features ultra compact physical dimensions. The back part of the unit has a flexible eyepiece for purposes of focus. Just below the eyepiece is a battery compartment. Its ID technology offers you a horizontal range for perfect shooting from a distance. Enjoy 8 seconds of progressive measurement meaning you can stroll across a landscape and choose distances between various landmarks. The unit also has Target Priorities that allow users to select how to handle it by setting it to Distant or First mode. From just a simple and single control button to the big 18mm ocular, for sure, the Nikon Arrow ID 3000 has all the technology and features an excellent bow hunting rangefinder ought to have. 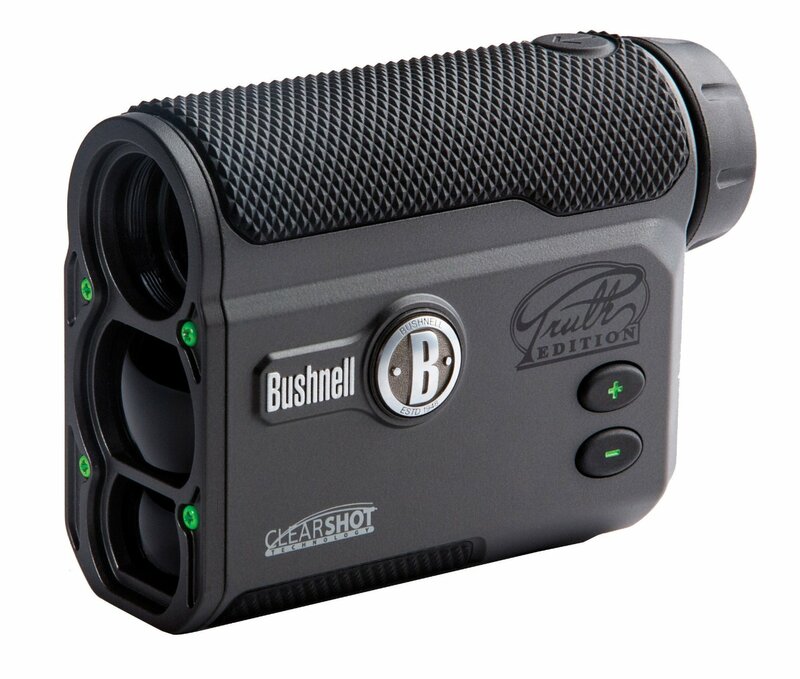 Bushnell the Truth replaces the initial Bowhunter model (Chuck Adams Edition). So what is different about it? The range of this new rangefinder extends to a maximum of 850 yards. With The Truth, you can enjoy correct readings of up to 199 yards. 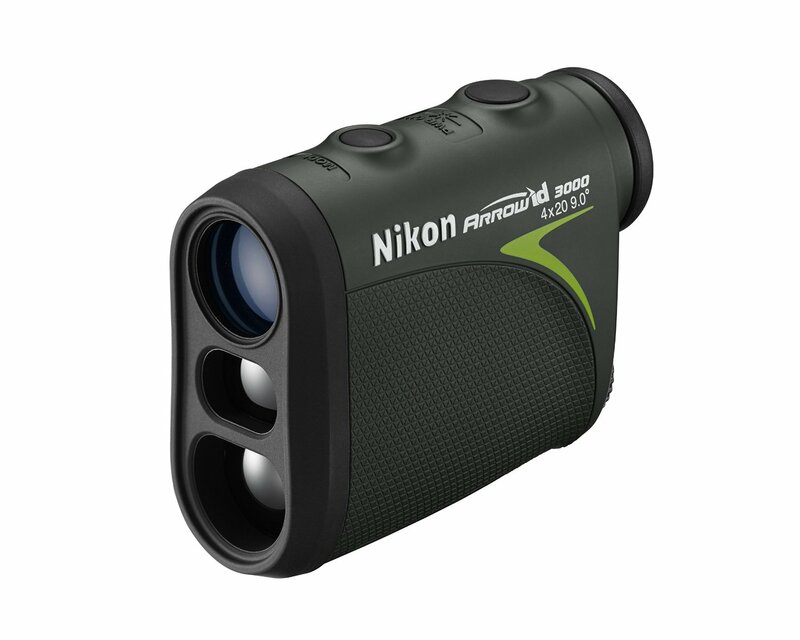 It is equipped with 4-x magnification, making it the lowest power existing on any of the available rangefinders. The Truth rangefinder has a Perma Focus eyepiece that isn’t adjustable. Powered by ARC technology with a Bow Mode, it dictates compensated distance depending on your shot angle so that you always know the exact pin to utilize from 7-199 yards. The unit delivers the same pinpoint precision as well as speed on line-of-sight readings up to 850 yards. 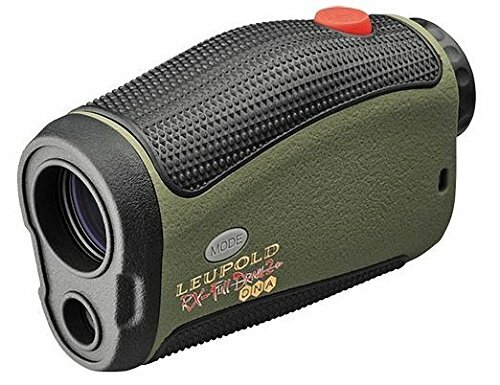 With a one-button operation, this rangefinder is incredibly easy to use while its magnification provides a crystal-clear imagery all the time. Simmons is a common brand, known for offering value priced sporting optics. 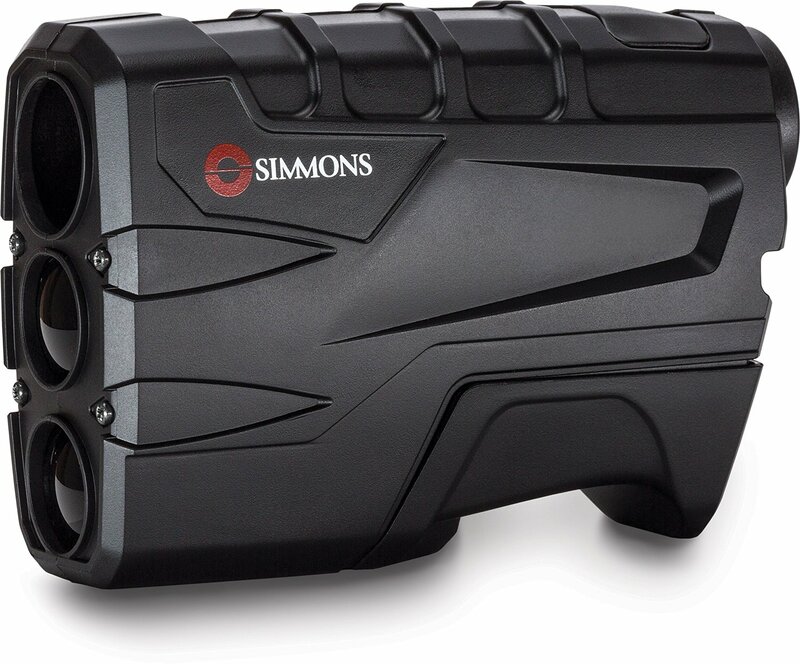 Just like the rest of the models, the Simmons Volt 600 Rangefinder is an amazing choice for many shooters and hunters on tight budgets or those that do not need units with plenty of high-end features. Tilt Intelligence is the first amazing feature you get by purchasing this unit. This feature is Simmon’s version of angle compensation. It provides true horizontal distance when focusing on the target. 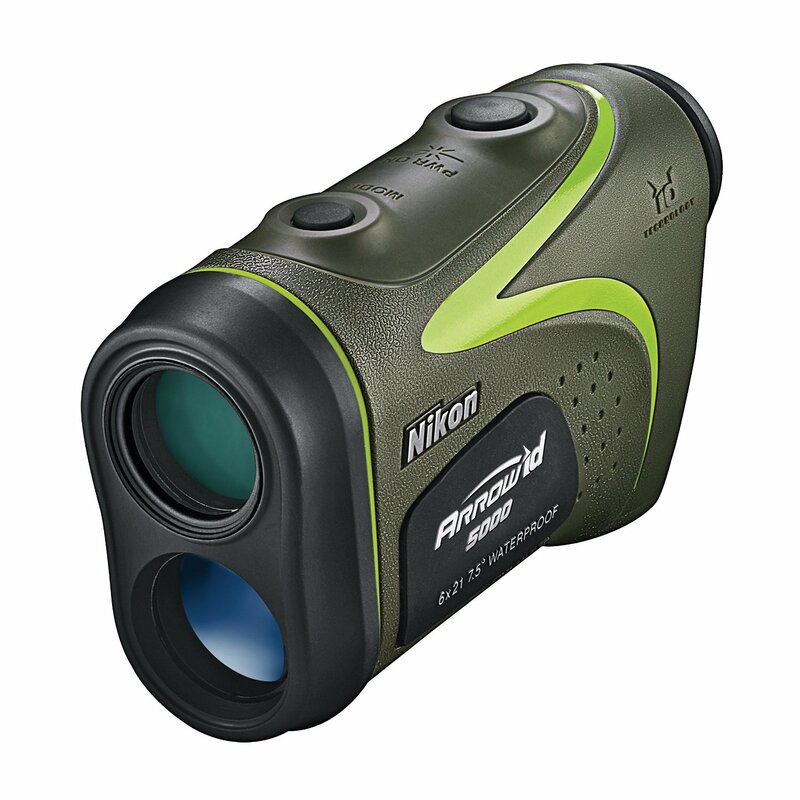 The unit utilizes a 9 Volt Battery unlike the other current production rangefinders that utilize a 3-volt CR2-lithium-style battery. It has an in-view LCD display that offers precise distance to targets from 10-600 yards within the mere push of a button. The unit’s crystal clear optics ensures you are nose to nose with the target. Finally, yet importantly, the unit has a compact vertical design as well as weather-resistant housing that offer unparalled advantage that is very easy to carry. The Nikon Arrow ID 5000 brings plenty to the table. This unit will definitely be a darling to archery shooters and bow hunters for many years to come. 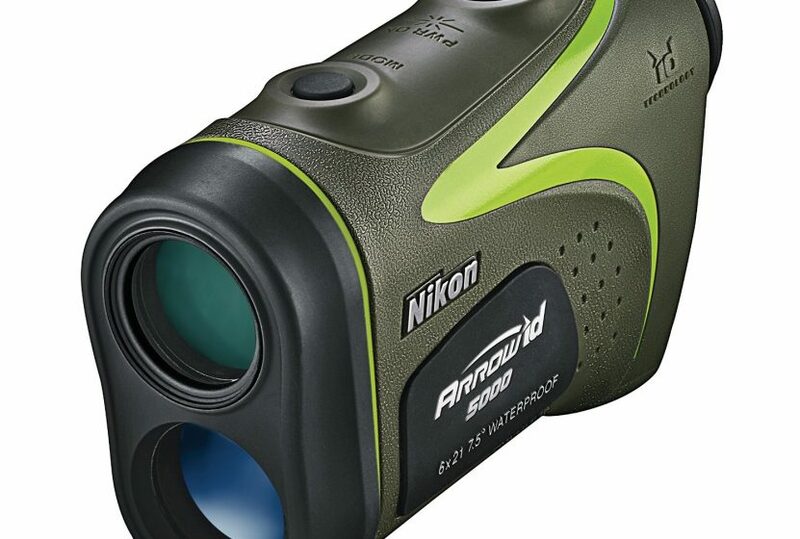 By combining world-renowned optics from Nikon with the world’s most improved laser rangefinder technology, there is no doubt that this piece is built to make sure your arrows arrive to their intended destination. Enjoy long eye relief, adjustable diopter, and multicoated optics. The fact that the unit is waterproof is also a big plus. One of the main things that stand out about the Leupold RX FullDraw 2 DNA has to do with its size. At 4” x 1.3” x 2.5”, the size is small compared to the present bevy of compact rangefinders. In addition to the 6-x magnification, the unit utilizes a black LCD display that reports range info. It has a green body that feature black rubberized grip panels on bottom and top. It is also waterproof. CR2 battery powers the unit. You also enjoy a 2 year limited warranty upon purchase. The premier archery rangefinders were not only priced too high, but were also complicated and cumbersome. Today’s models represent a huge investment but surely offer value for money. Rangefinders belong to the creative class of technology that has been changing over the last century. The above guide explores some of the best rangefinders in the market. It features an array of vital specifications of each model. While functional mechanics are relatively identical, minor modifications allow you to employ the units in an array of different situations. Choose yours wisely.